What else could it be but lemons and poppyseeds? There have been many a cake and muffin but when I chanced upon this recipe of cookies, I had to make them. For many reasons too. 2. This recipe can be easily changed to be orange, lime (add a little extra sugar) etc. I am unfortunately not sure from where I got this recipe so to my now-anonymous benefactor I say thank you! These cookies are the perfect slightly chewy, slightly sweet deliciousness desired in a cookie! 8 tbs butter at room temp. 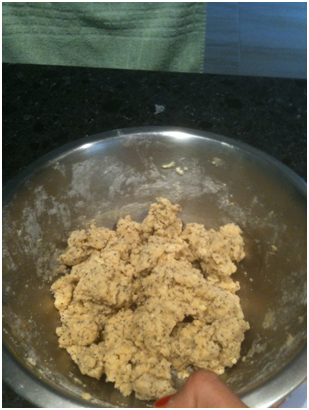 Using an electric mixer, beat together butter and sugar until light and fluffy. Add in egg and lemon juice/zest and beat until combined. Glaze cookies, let set and then store in an airtight container at room temperature. These cookies sound yummy. I was just thinking “They’d be awesome with a glaze” so I’m glad you included the recipe. 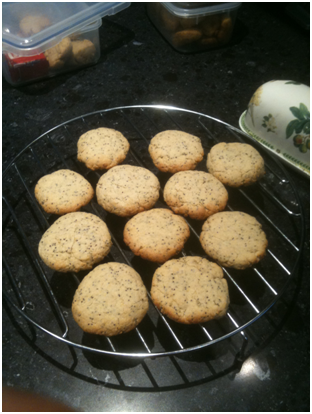 Can’t wait to try them, I haven’t made any lemon-poppyseed goodies yet!